As summer has ended, and the new school year has started up again, so have Rockland fall sports. 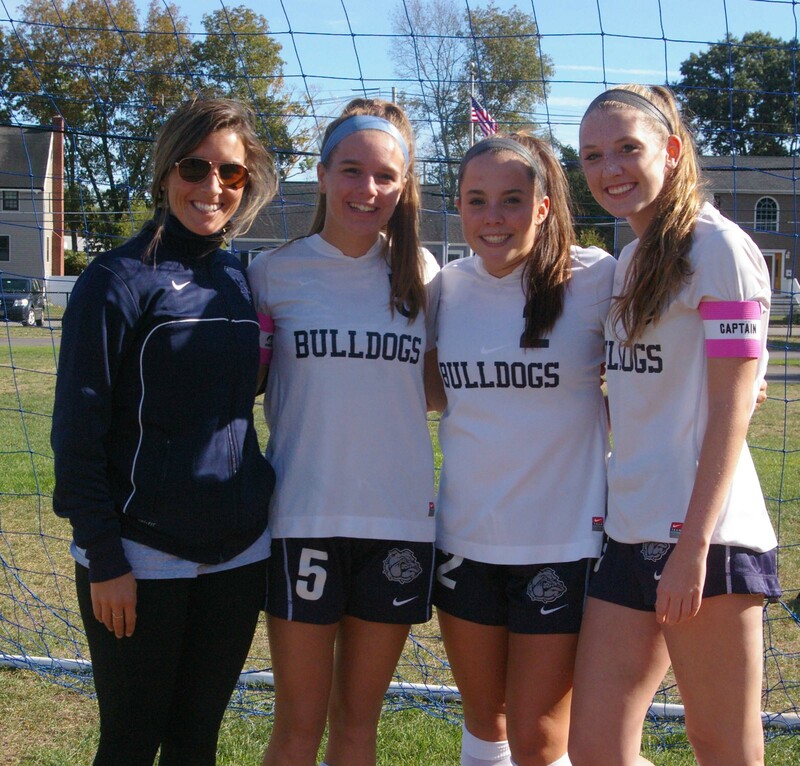 The girls varsity soccer team has undergone many changes including a new varsity coach, Lauren Rizzotti, and four new freshman athletes. The season is coming to its halfway mark, and all of the players have the same thing on their minds, to win and go all the way in the postseason tourney. 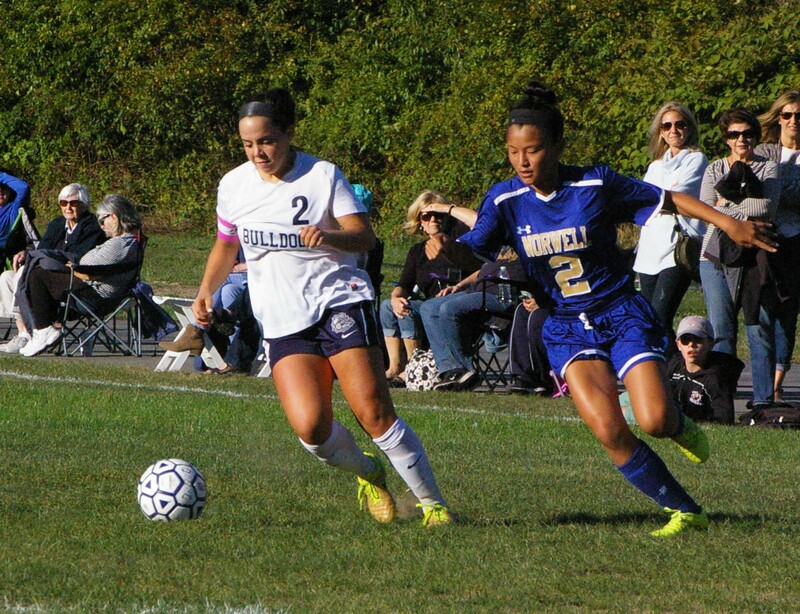 With the current record of 4-2, and recent losses to their two biggest rivals, East Bridgewater and Norwell, the girls are ready to get back on track and shoot for tournament and the success they had last year being semi-finalists. Ms. Rizzotti says she has the team play with four defenders, four midfielders, and two forwards as their formation this year and is still figuring out what works for the team. “We [the team] have a handful of new players and returning players that have stepped up to prove stronger than last year.” Although Ms. Rizzotti has a set formation, she said that positions, playing time and players are going to change frequently based on their opponent and what they need to come out with the win. Taking the new position as a varsity coach, and transitioning from a JV team to a varsity team, Ms. Rizzotti said the atmosphere is completely different. “The intensity on the field and on the bench is amazing.” She also said this year’s team has a great attitude and has the potential to go very far this season. With the team reaching their half-way mark of the season, the seniors are starting to accept, and realize the fact that this is their last year of playing for their hometown. Senior captain Emily Beatrice is the core of the defense and says she plans to “play every single game like it’s my last, because in 2 months it really will be the end.” Looking ahead, the team is focused on the town of East Bridgewater’s girls’ soccer team and their rivalry that has lasted for years. They are the most challenging opponent and always give the team an intense and competitive game. Last year, EB knocked Rockland out of the tourney in the semi-finals, and Rockland is out for revenge. For now, with many games left in the season, the team is shooting for more wins to get themselves a good spot in the tournament. “It all depends on how much work we put into it and how we perform,” says sophomore Brooke Jones. Every day the team is practicing after school working 100% to the best of their ability to make their goal, a reality.